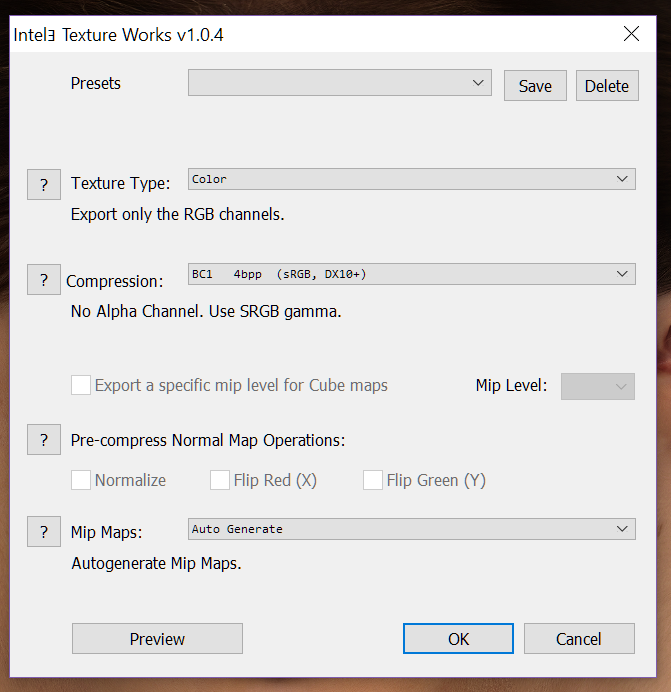 Refer to this guide if you don't know how to use Noesis/HxD/the photoshop plugins. So this one had me stumped for a while, but I finally figured it out! 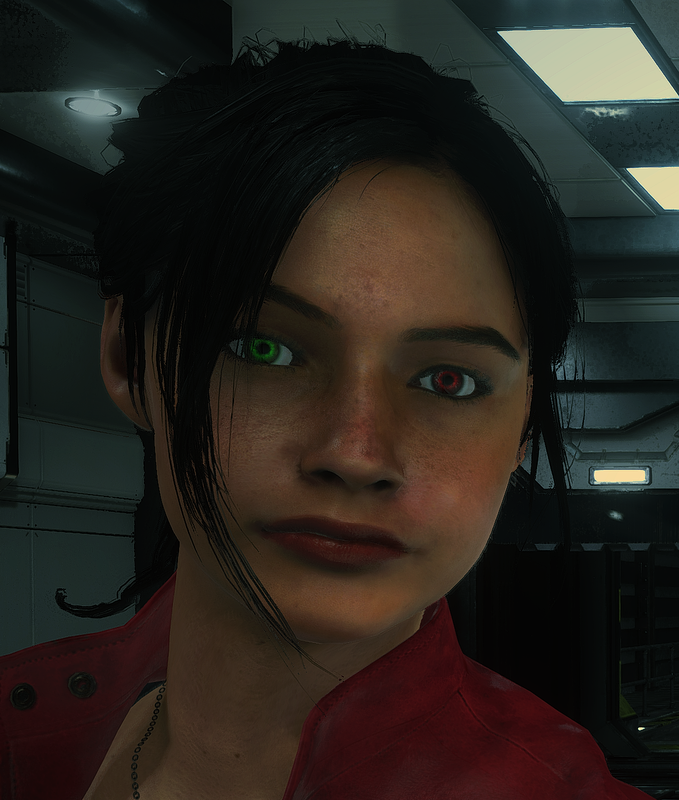 For some god awful reason, Claire is the only character's eye color you can't change by just editing the normal albm.tex.10 for her face. Her eye color is instead taken from the pl1050_face_alb.tex.10 file which you may have noticed that Noesis can't display or export (edit: The newer Noesis apparently can export this so if you have it, you can just skip to how to save the DDS file). 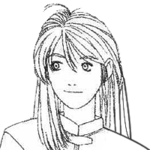 You can find it at \natives\x64\streaming\sectionroot\character\player\pl1000\pl1050 for High graphics and \natives\x64\sectionroot\character\player\pl1000\pl1050 for Low. 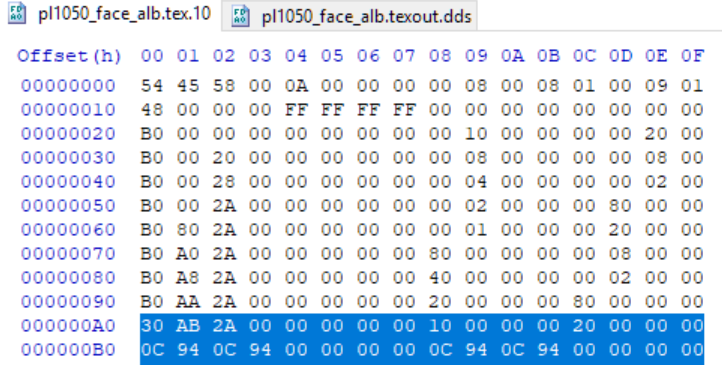 And then we're going to switch to the tex.10 file, select everything starting from 000000A0 to the end, and then ctrl+v paste right on top of that. Save, and you're done! Sometimes I find when I mod a texture, it's moved a few pixels over in game. I fix this by using the offset filter in photoshop and nudging it over by 4 pixel increments. Doesn't happen all the time for some reason. 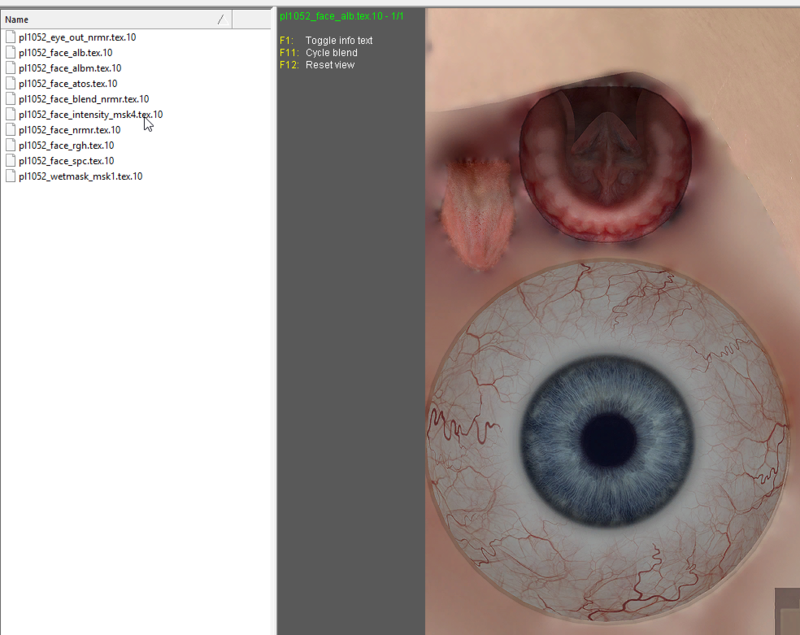 Here's what I did~ You can even change each eye individually. 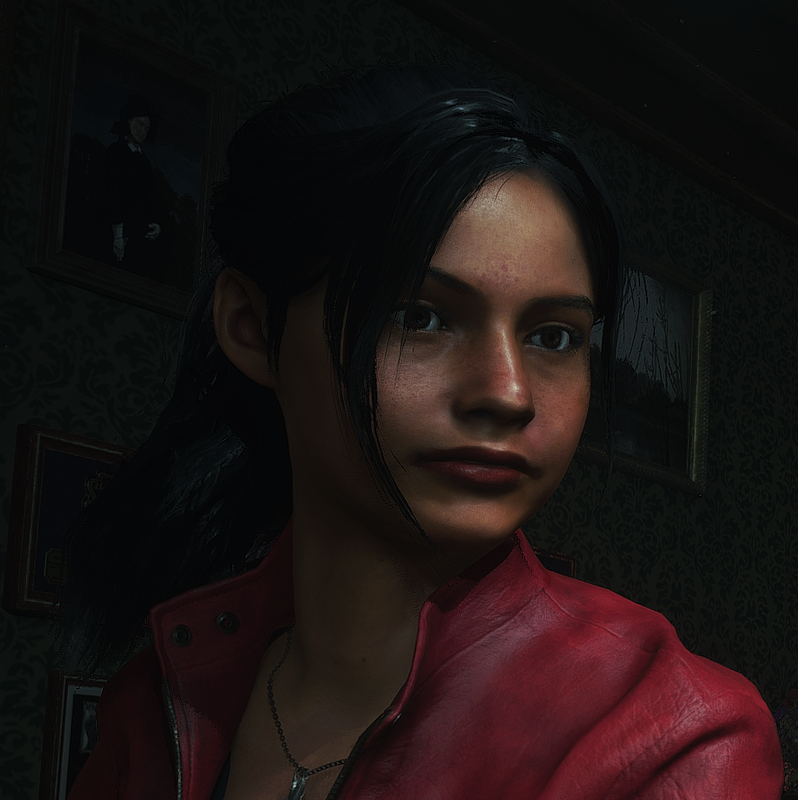 Hey, I've been trying to figure out how to change Claire's hair without having leftover bright brown highlights. Really sorry to go off topic here but I have been searching this forum for ages and I just can't figure it out ._. Seeing as you changed her hair to black, help would be appreciated! 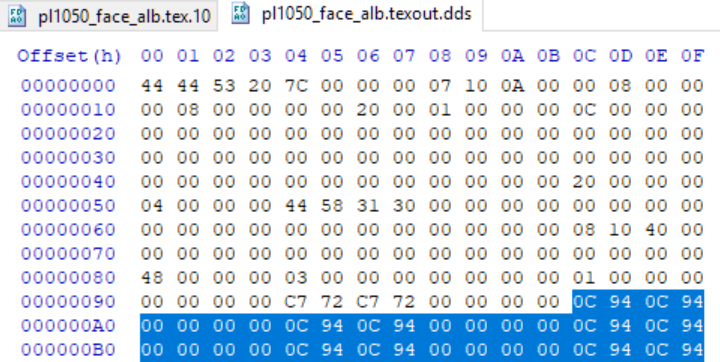 You have to edit the hair's mdf file in a hex editor. Crazypotato's Custom Lighting Tutorial shows you the basics. Be prepared for lots of trial and error. If you're looking for black specifically, I can share mine when I'm off work. so this goes for all the outfits? i mean classic, noir, military and Elza? Would you mind sharing Your Noesis and plugins if possible? Yeah, editing the one file will change it for all outfits. 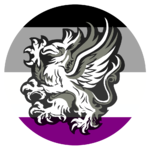 The link to the newest Noesis is in Crazypotato's post here and it looks like the new plugin is in the RE2 thread on the xentax forums. Gotta register there.